Whether you’re new to blogging or looking to take the next step, you have goals. Your blog is your brand—an extension of your identity. You’ve taken a spark of inspiration and are bringing it to life. Whether you're sharing a hobby, pursuing a mission, or connecting with like-minded individuals, there’s no limit to where you can take your blog. You only need the right tools to support that vision and growth. 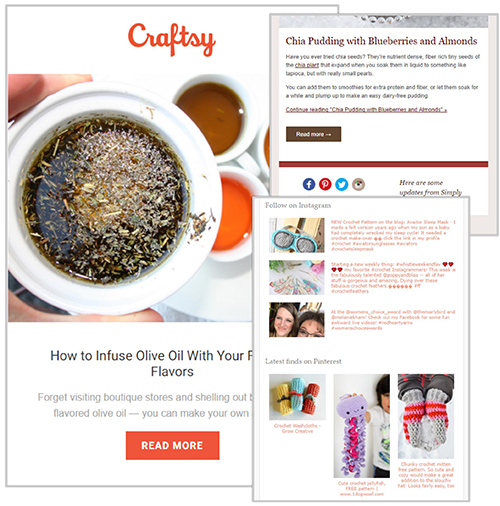 Easily create and customize your email template to reflect the look and feel of your blog. All templates are mobile-responsive and offer the chance to highlight your latest updates from Instagram, Pinterest, Etsy, Shopify, YouTube, and more. Working with our advanced SmartForm subscription forms, you can grow your list the right way. Supporting your endeavor, every step of the way. When you’re beginning your blogging journey, you need only a list, a subscription form, and a single-email funnel. As your blog grows, your needs will change and grow. Additional lists, multi-sequence funnels, third-party integrations, custom fields, automation and more will become vital to the growth and expansion of your site. 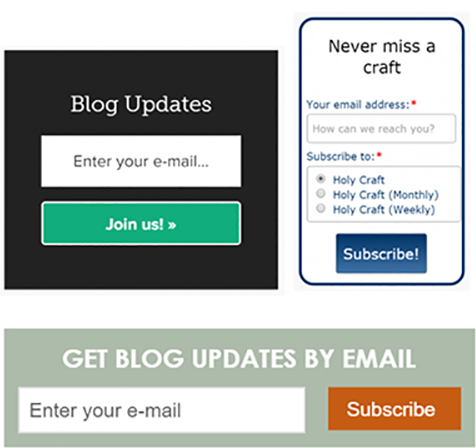 We create and offer the tools to meet you every step of the way on your blogging journey. With no limits to the number of emails you send or funnels you use, when you’re ready to grow, our job is to ensure you have what you need when you’re ready to use it. Track your progress as it happens to see what’s working and what isn’t. No need to guess what you should do next, check your numbers to strategize the best path forward to grow your blog. Easily monetize your mailings and earn with every open working with our unique 1-click ad network*. You choose how many ads appear and where you want them in your emails, and we take care of the rest. *All ads in the FeedBlitz opt-in network are brand safe and G-Rated. Political ads are excluded. Ready to take your blog to the next level? We are too.